Carly Mallenbaum looks at the growth in popularity of bachata in this article for USA TODAY. Bachata is heavily rooted in percussion, bass, guitar and a maraca-like instrument called the güira. The music “has taken off to an unbelievable degree,” says Tufts University professor Deborah Pacini Hernandez, author of Bachata: A Social History of a Dominican Popular Music. “In 1986, nobody had ever heard of (bachata) outside of the Dominican Republic,” she says. Now, mainstream musician Usher is singing and dancing in the Latin style. Initially, bachata was “the music of maids and taxi drivers,” says Hernandez, but singers such as Juan Luis Guerra and Antony Santos made the rural migrant music respectable, cleaner and more appealing to women. In the 1990s, Romeo Santos’ group, Aventura, brought the music to New York and made it hip, young, bicultural and bilingual, but still authentic. Where the classic bachata is fast and includes funny double entendres, the newer version sounds more soulful and R&B-flavored. In the dance world, bachata has taken off. Professional bachatero Lee “El Gringuito” says attendance at his D.C-based Bachata Congress has gone from hundreds in 2009 to 5,000 last August. The dance has been modernized and fused with other styles to form variations such as the bachatango and bachazouk. 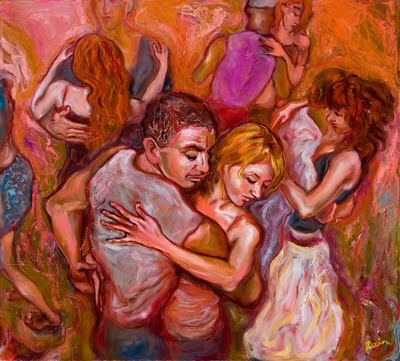 Dancing bachata is much different from the grinding dances of reggaeton or hip-hop. It’s an intimate, slow chest-to-chest dance. Though Romeo Santos says he’s not the best bachata dancer (“Dancing is not my thing”), Usher can bachata like a pro. “You can’t do a bachata and not know how to dance it,” says Usher.